A total conversion mod for Dwarf Fortress, inspired by Fallout:Equestria and its many side stories. Lead an expedition of stable dwellers across the balefire-scorched wastes, forging the last bastions of civilization in a world without kindness or laughter. With everything once dear and loved to you now scattered dust, where all that remains seeks your demise, from abominations twisted by radiation, to your fellow ponies, consumed by madness, you may survive, or even persevere…but will you retain your virtues? 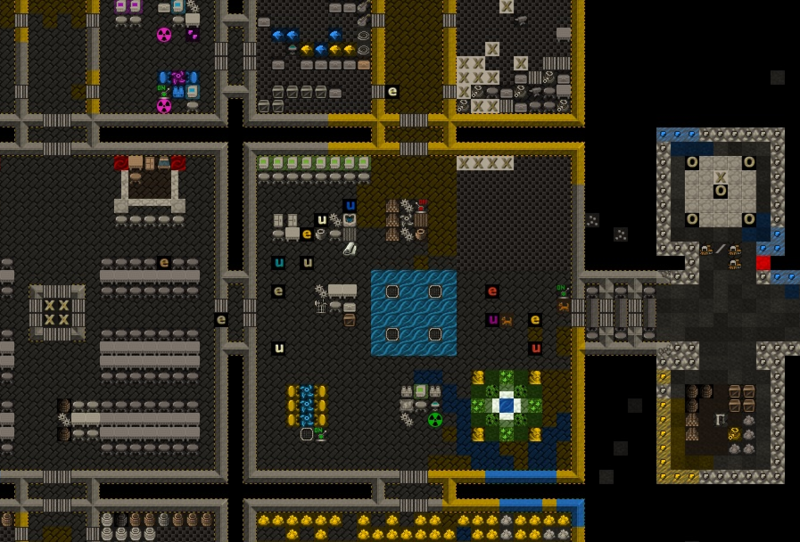 Dwarf fortress is an incredibly complex game with a steep learning curve. If you're new to the game, I absolutely recommend reading these three tutorials alongside your first Stable. Your first few attempts may be short-lived, but with each loss you will learn more and more about what it takes to survive. The first two assume you've already generated a world, so when you open the game, select "Design New World with Advanced Parameters" and hit "Enter" to generate using predetermined settings. Once a world is generated, select "Start Playing" → "Dwarf Fortress" then choose a Stable location without an aquifer and embark. See General Tips and Hints below for further guidelines. Also note that this mod adds hundreds of new features on top of the default game. 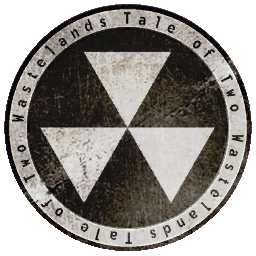 Once you get the hang of the basic industries and necessities for survival, please read this entire post for an understanding of what horrors and mysterious technologies the wasteland holds in store for you. Furthermore, this mod is currently in beta and is not feature-complete, so any questions and feedback you may have are more than welcome. o Note: Due to adjusted civilization numbers (like just one Unity civ), it takes around 50 rejections for a world to be generated. A reset worldgen may be necessary in some instances. • Earth Ponies are notably stronger, tougher, and enduring than unicorns. Their close connection to nature and the earth allow all earth ponies an increased awareness of themselves and their environment. They gain improvements to their abilities in many skills involving nature and the earth; however, their hooves and mouth do not permit them to perform finer tasks. • Unicorn Ponies possess superior analytical abilities and focus, as well as the ability to manipulate objects with their telekinesis, allowing them to perform skills that require fine manipulation. 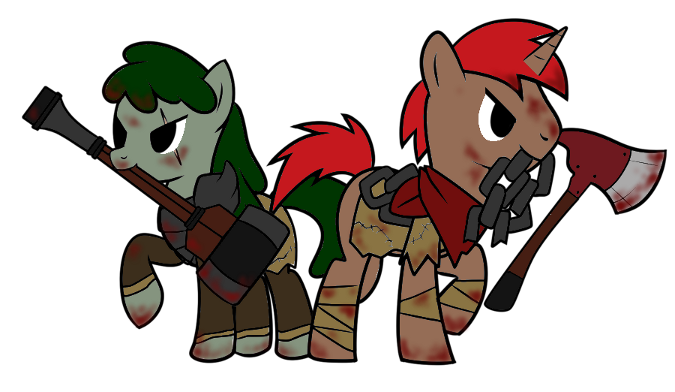 • The wasteland is filled with hostile wildlife, so make sure at least one of your starting seven ponies is well-armed and armored. • A variety of salvageable wrecks grows on the surface, and may be cut down by scavengers (woodcutters) and processed at the salvage yard. o Prioritize this as scrap will be your primary source of raw materials. • Embarking in an irradiated (savage) region will allow access to medium and some high quality salvage without the dangerous neighbors. • Bring a few toolboxes on embark so you can open locked crates. They can also be made at the metalsmith's forge. • Scrap metal can be smelted together to create bronze, as copper is no longer considered a weapons-grade metal. • Disable fat in your stockpile settings so your ponies won't try to stockpile errant robot projectiles. • Later on, schematics and salvage will allow you to arm your ponies with more advanced weapons. • Pellets aren't very effective in hunting. Here's a guide to replacing them with other ammunition types, courtesy of Treason. • Medium and large caliber bullets are invaluable against tougher opponents, but also require more resources to produce. o Conserve ammunition by using melee weapons against weaker creatures such as ghouls. • Don’t mix different ranged weapon types in one squad, as your soldiers will get confused and pick wrong ammo. o Assign proper ammo through the “m”ilitary screen, “f” key. • Hunting and anti-machine rifles use the markspony (bow) skill, while combat rifles and pistols use the gunnery (crossbow) skill. • Medium caliber bullets provide the best mix of penetration and cost. • Broken glass is automatically melted down at the kiln to yield green and clear glass. • Steel Rangers have an exported wealth trigger of 30k. Don't go flaunting your technology lest you attract their attention! • The fertility of crops has decreased – most can be planted only around winter to spring, take longer to grow, and produce smaller yields. o Carrots, celery, and radishes are recommended for embark, as they can be planted underground in the current version. o A guide to crops can be found here, courtesy of Maklak. • As ponies have four hooves, they won't wear boots unless you assign specific shoe types to wear under the (e):Equip option. o Set them to replace clothing. • Unity alicorns, glowing ghouls, and most evil wildlife are lethal in close combat – try to find ways to engage them at range. • Gemstones form the basis of the arcane technology tree – don’t use them up for decoration and trade! o Essential gemstones are coded with the letters A, C, D, I, R and a number from 1-4, which matches the gemcarving reactions. o Gems can also be farmed by crushing useless rocks at the grinder. • Salvage is considered wood, so stockpile it away from your ordinary wood so it doesn't get used for carpentry and wood burning. • The salvage yard and workbench become cluttered quickly with salvage and crate products, so build them near stockpiles. • The salvage yard and a few other workshops will take any pony for the reactions, so be sure to assign specific workers to them! • The first subterranean layer is usually filled with ruins and valuable salvage from buried cities and towns, but also is home to ghouls. • If using burrows, make sure that workshops are in the same burrow as the stockpiles they are drawing from. • WEAPON_METAL materials refer to iron, bronze, and steel only. • Ministry crates (as well as crates from other pre-war industries such as Stable-Tec, Robronco, and Ironshod Firearms) are the foundation of the various technology trees, with each containing technology unique to their Ministry. Increasing in yield with the quality of salvage, most can only be found in irradiated regions, the deathlands, and deep underground. The ministries and regions are elaborated further below. • Preparing suits of combat armor and weapons from their boxes uses the mechanics skill to determine the resulting armor quality. • Using flamethrower battle saddles requires a shield, lest the unfortunate pony set himself on fire. • You can make metal plates as a tool in the metalsmith's forge. • Certain workshops list in parentheses chickens or other creatures used as catalysts by the reaction. Pasture the indicated creature adjacent to the workshop before running the reaction. • Magic reactions use the alchemy skill, which is turned off by default. o Make sure to enable it only for your unicorns, as the arcane fumes produced by these reactions are hazardous to earth ponies! • All salvage and technology items are classified as either tools or toys in Finished Goods, with item-specific material designations like (Tool-Unopened Crate), (Toy-Arcane Scroll), and (Toy-Spell Matrix) located under stone types in the stockpiles, allowing them to be sorted by item type. Linked below is the list of all in-thread Stable Reports, also courtesy of Replica. Linked below is the guide for the extra gameplay functions added by DFHack. Credits for faction images except for the last go to DotRook. Check out his page for future factions as well! Credits for the Unity faction image go to Brisineo, whose gallery also has plenty of awesome FoE art! In the early years, thousands were spared the horrors of the holocaust by taking refuge in enormous underground shelters known as Stables. But when they emerged, they had only of the wastes to greet them, and are now locked, for better or for worse, in the midst of the newest bloody chapter in pony history. Every stable citizen possesses a miniature terminal-like device known as a Pipbuck that allows them to interface with Stable-Tec and Ministry technology. Many ponies on the surface have managed to eke out a living in the unforgiving wasteland, gathering in ramshackle settlements for protection against roaming bands of raiders, slavers, and the ever-present hostile wildlife. Though hardened by their struggles, they are quite friendly, and will seek to trade with you early and often. 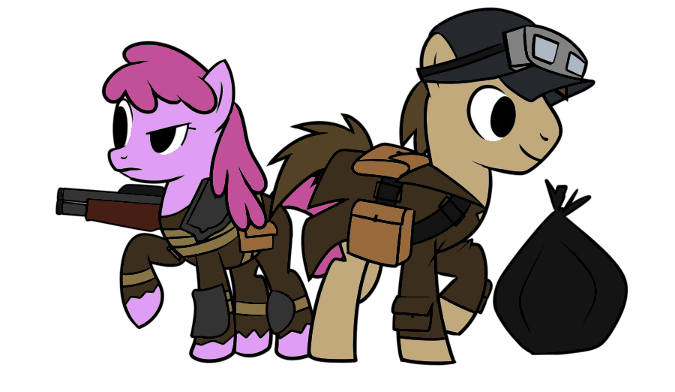 Raiders are a sadistic variety of ponies that have succumbed to the harsh nature of the wasteland, and now revel in chaos and anarchy. They are almost always prone to unprovoked violence and wonton assault, and typically act with little sense of conscience. Numerous raider bands dot the wastes, and as such they are usually the first hostile ponies your Stable will encounter. 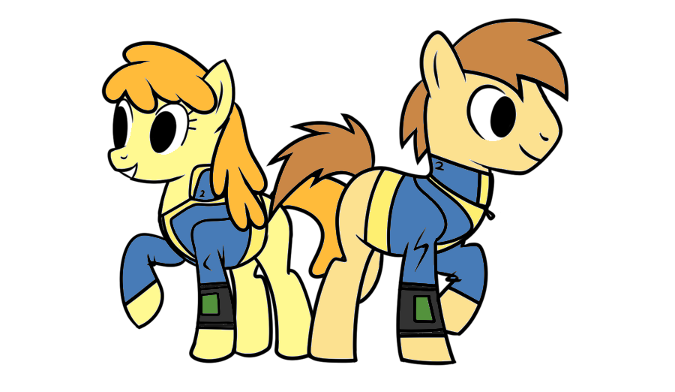 Slavery is a lucrative business in the wastes, with many groups specializing in capturing unfortunate ponies and selling them to the highest bidder. While not as crazed and sadistic as raiders, slaver ponies are still known for their cruelty and single-minded pursuit of profit and pleasure. Well-organized and often equipped with military-grade armor and weaponry, they can pose a significant threat to even a well-defended Stable. 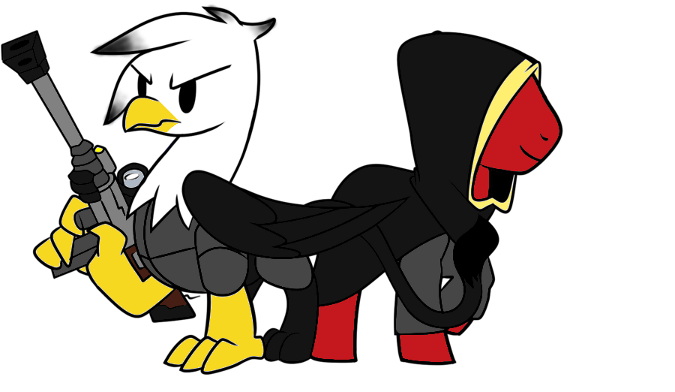 Though the Griffon Kingdom remained neutral for the duration of the war, griffons by the hundreds streamed into Equestria, eager for fights that had become scarce in their home mountains. Working as mercenaries for both sides and often operating far from the metropolitan centers, many survived when the balefire bombs fell. 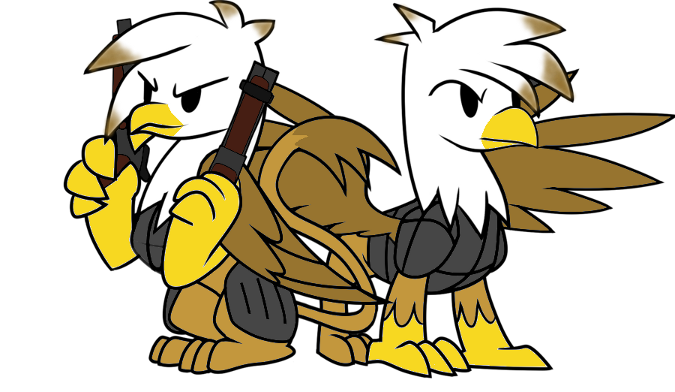 In the present, these griffon companies have made a name for themselves as some of the finest fighters in the Equestrian Wasteland, and will gladly take up the squabbles of those factions willing to pay in plenty of cold, hard, caps. 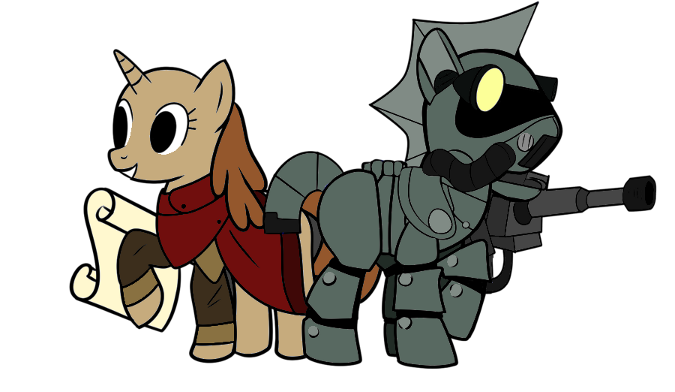 Once the elite forces of the pre-war Equestrian military and the crowning achievement of the Ministry of Wartime Technology, the Steel Rangers are only shadows of their former selves, reduced to scavenging the wastes for pre-war technology. In this, however, they are ruthless, killing indiscriminately those unfortunate enough to possess such treasures, their steel power armor and heavy weaponry making them nearly unstoppable. Export wealth trigger: 30k. 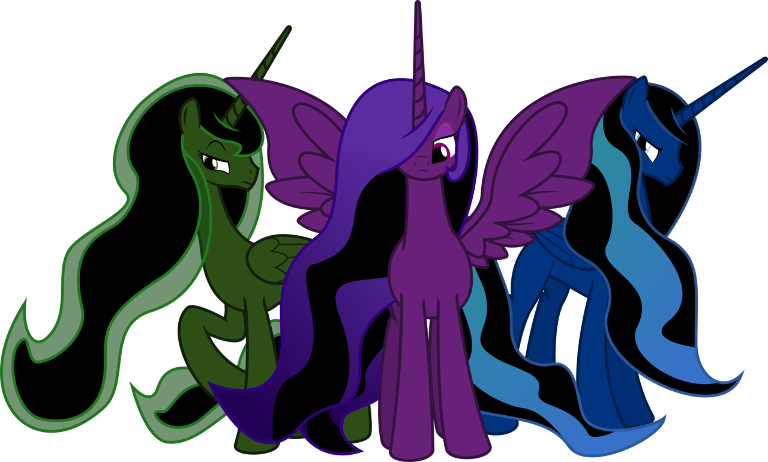 After the deaths of the Princesses, the only alicorns in Equestria are artificial, created through deep exposure to Impelled Metamorphosis Potion, and sharing their consciousness, emotions, and thoughts through the hive-mind of the Unity. Unity alicorns come in three varieties, each with their own uniquely dangerous spells and abilities. Once a rare sight in the wastelands, these majestic beings have increased in number in recent years, their deadly reputation rendering them unopposed and free to pursue their hive-mind’s goals. from view and can weave illusions to confuse their attackers. eviscerate their opponents with telekinesis. telepathic attacks as well as entrapping nearby enemies along with them. Much of pre-war Equestria consisted of rural countryside, now transformed into the vast expanse of arid desert that characterizes the wasteland. While little radiation has accumulated in these regions, the land remains sparse and unfertile, able to support only small pockets of wastelanders, roaming raider bands, and plenty of bloatsprites. Developed regions close to the major metropolitan centers remain heavily irradiated from megaspell fallout, and are home to a greater variety of mutated creatures as well as the now ghoulified former citizens of ruined civilization. On the other hoof, there are much richer concentrations of salvage to be found throughout, drawing the attention of the more organized wasteland factions. 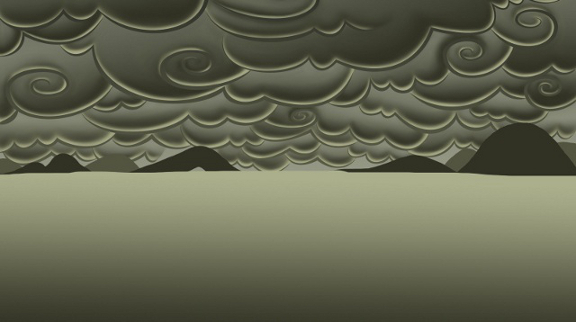 Tales speak of such places as the Equestrian capital of Canterlot and the mountains of Maripony, which on the last Day fell under the zebra’s most lethal megaspells, from balefire superclusters to clouds of pink consuming all within their path. Whatever the reasons for such specific destruction (Rumors abound of forbidden arcane experiments and black-ops technologies), the bombs only served to create even greater monstrosities. Those few who have survived travel through these lands speak of ghouls that revive after being killed, abominations that shrug off wounds from high caliber rounds, and furred beasts able to rend through steel and flesh. Not yet added, but planning is in the works. The Ministries were the six most important Equestrian government institutions, founded as the war between Equestria and the Zebra Legions intensified. 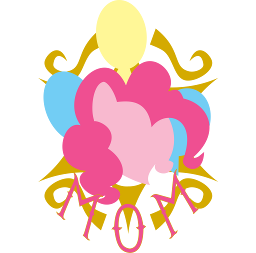 Each designed and led by one of the six bearers of the Elements of Harmony; they significantly impacted Equestrian law, economics, culture, and industry, ruthlessly driving innovation and industrialization to the point where they had become omnipresent throughout pony society before the final days. However, it was once said that the portal to hell is opened with the incantation of good intentions…and despite all the technological and cultural advances, many believe that, in the end, the Ministries were responsible for the spark that would lead to Equestria’s destruction. Now remnants and memories of the Ministries linger among the ruins of civilization. From disabled terminals to crates filled with mysterious treasures, the influence of the tragic bearers of the Elements is very much alive, centuries after their death. The utilization of gemstones as conduits for the storage and alteration of magical energies revolutionized arcane research, and overnight became the foundation of hundreds of new technologies around the continent. 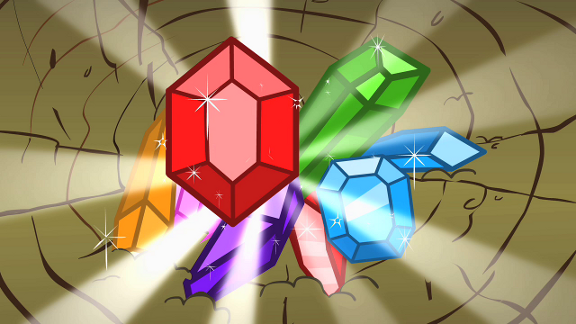 However, Equestria was the only source of viable gems, a resource monopoly that would lead to the outbreak of the war. Many of the research trees rely upon gemstones, from the development of new spells to the processing matrices in computer terminals and power armor. There are five colors of gemstones corresponding to the five schools of magic; Alteration, Destruction, Conjuration, Illusion, and Restoration, and also four levels of quality; low, medium, high and pristine. Usable gems have a tag corresponding to their class and quality. For example, a “citrine (R1)” is a low-quality restoration gem, and a “star sapphire (A4)” is a pristine alteration gem. Reactions that utilize gems have the necessary tags listed in their name as well as the chance of success, eg. “carve low-quality alteration lens (A1 80% chance)” requires a low-quality alteration gem. They also can produce small gems as a side-product for decoration. Gemstones are quite common within the soil, such that “rock farming” was a viable profession before the war. You can mine for gems the old-fashioned way or crush 10 worthless boulders at the grinder for a chance to find some. However, gemstones are consumed by many reactions (Spell research has a chance to break the lenses used that increases with lesser quality, and hologems can only store a single spell), so conserving your supply remains important. Talismans (including spell matrices) are configurations of multiple gems that create unique magical effects (For example, a water talisman provides an infinite supply of fresh, clean, water when built into a fountain). Only 50% of the magic research system is in place, so not all can be forged. Talismans are extremely valuable, so expect to attract attention should your fortress find one. 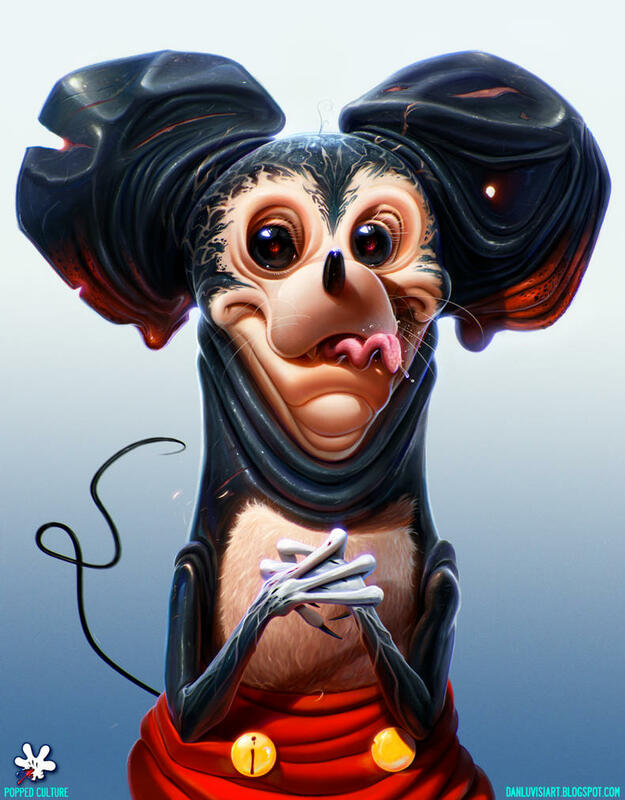 Credits for the image go to 3Maxa. Firearms: While your stable citizens start with BB rifles and combat pistols, firearms of all types can be obtained from salvaged crates, trade with wastelanders, and the bodies of your enemies. • Ammunition production requires weapons-grade metal, brass for the casings, and gunpowder. Copper and zinc can both be salvaged from scrap metal as a source of brass, while gunpowder (produced at the grinder) requires coal and potash or saltpeter. Steel ammunition of all calibers is more lethal against armored opponents and deathland beasts, so use it if possible. • Pellets have decent penetration against unarmored critters, are but otherwise not very effective. • Small caliber ammunition is sufficient for early stable defense and cheap to manufacture but fares poorly against armor. • Medium caliber ammunition excels in penetrating armor – its versatility more than makes up for its increase in cost. • Large caliber ammunition is the answer for the most dangerous threats in the wasteland, able to defeat any and all defenses, whether metal or magical. However, it is much more expensive to manufacture. 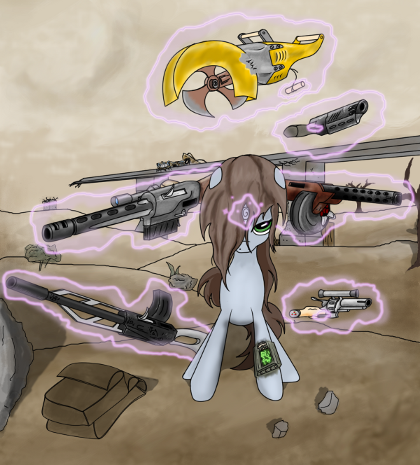 Armor: Protection is a must in the wasteland, such that everypony wears metal armor of some sort – this should be no different for your citizens. • Spiked and studded armor – Scrounged together from scrap and often worn by raiders, this poor-quality armor is better suited for smelting. • Plate armor – Welding or riveting together metal plates produces armor that, while heavy, is simple to make and affords decent protection, making it quite popular amongst wastelanders. • Security barding – Though this lightweight armor is all most Stables have access to, it provides full coverage and defends well against small caliber bullets and melee blows. • Combat armor – Standard issue for the pre-war Equestrian armed forces, combat armor is an uncommon sight in the wastes, but stands solid against most threats. • Power armor – A rare sight even before the war, power armor represents the pinnacle of earth pony technological prowess and is immune to all but the heaviest weapons. • Scorpion power armor – In recent years, there have been scattered sightings of sleek, onyx-clad forms darting underneath the clouds that forever blanket the Equestrian skies. While most regard these reports as products of radiation-addled minds, a few remember childhood stories of the pegasi, who disappeared two centuries ago on the Last Day. I am much indebted to Deon for these features utilized from the Post-Apocalypse Mod (http://www.bay12forums.com/smf/index.php?topic=106269.0) His work is an inspiration to all us modders. • The power generator, biofuel refinery, and scrapyard workshops. • Grasses, the tumbleweed, and barrel cactus. • Terminal and wall tiles from the Ironhand Apocalypse tileset. • Mirelurks, Molerats, Gecko, Yao Guai, Radscorpions, Brahmin (modified), and Bighorners (modified). • Ideas for the ripper and chainsaw. • Graphics sprites for the sprite-bot, Mr. Hooves, and robobrain. Maklak for the Linux version, extensive assistance in quality testing, and other helpful contributions. Replica for moral support and documentation of pony skill rates and player-run Stables. P(ony)SI for documentation of the magic system and caste percentage chances. Narhiril for the hydroponics farm and creature spawning concepts. Tahujdt for the stasis bay. Peterix and Falconne for DFHack and its various plugins. Meph's Masterwork Mod for the turret sprites and inspiration for the slave system. Urist Da Vinci for the water pump concept. Here is a list of currently known bugs and their hotfixes. • Diagnosing a pony wearing a syndrome armor never finishes - Dump the armor by selecting it in the pony's inventory. • Generating a new world after saving a Stable in an existing one causes the game to crash - Restart the game before generating a new world, or use a new DF folder. • The military screen still has a small chance of causing the game to crash - Quicksave using [Ctrl-Shift-Q] before opening the military screen. • (Fixed in 0.30c) Opening the (e)quip screen in military has a chance of causing the game to crash - Delete the search.plug.dll file located in the hack => plugins folder. Adventure mode isn't developed at the moment, but you can still play as a wastelander. Attached below is an add-on for adventure mode created by Crazy Cow. welp there goes my day! Step two: Download Valikdu's currant one, cull duplicate factions and such. 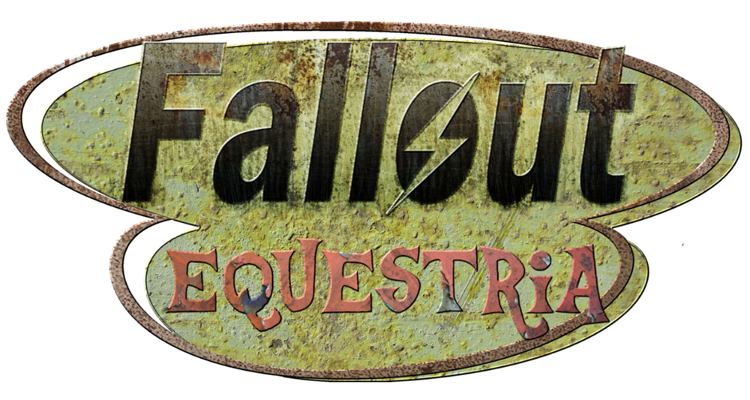 Step four: Enjoy Fallout Equestria: Project Horizons:The Mod. EDIT: Attempted to go to Arena mode. Twenty minutes ago. Still loading. No way, another pony mod for DF, based on my favorite fic, using my favorite graphics pack? And it's not even Christmas yet! I don't know about unicorns, but back in .95, one of my PA soldiers was diagnosed with power armor. I drew a fairly good picture about it, but my science project (a bunny) pissed all over it. Good luck with the mod, it looks amazing! Neverthemind, fixed that problem real quick. I hope everyone enjoys the mod! Just bear in mind that this is the stability-testing version - there are still numerous technologies (like the medical technology tree from the Ministry of Peace crates and talisman/spell matrix research and construction facilities), creatures (like balefire phoenixes and taint abominations), factions (Talon mercenaries), and other features to be developed and added. While my own Stables haven't revealed anything out of the ordinary (Apart from a lot of salvage...I'm probably going to have to reduce percentages), I want to make sure there are no bugs with the existing features (especially thievery and invasions by the various factions) before the next version, so any feedback would be greatly appreciated. 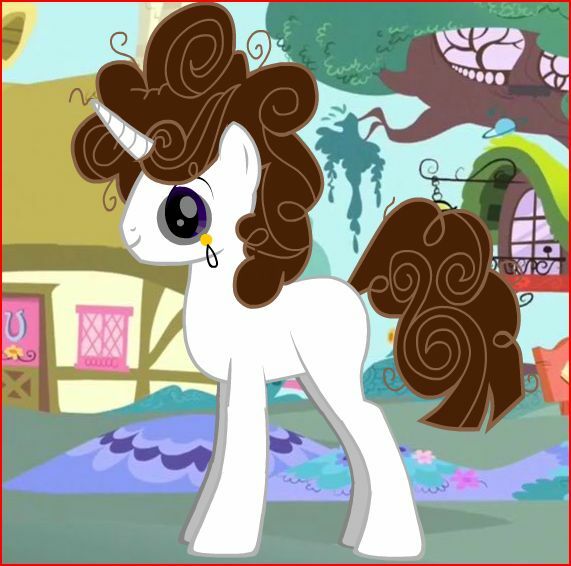 A (stupid and rather silly) request: is it possible to have a version without the ponies having castes for the purpose of cuti marks (or genetic variation)? I have issues with speed with the mod, and the massive amount of time it takes for anything creature-related seems to be because of the large amount of duplicate castes. I'll look into it...can you provide more information about when the slowdowns occur and how they are creature-related? World gen is slowish, but not too bad. However, any attempt to load arena mode has been met with doom (I let it run for a hour and it still did not go into it). To make sure that the files guilty for the slow-down were the ones with the cuti-mark castes and mass hair colors, I deleted the according creature files (Stable, Raider, Slaver, and Steel Ranger) and attempted to open arena. Worked like a charm. A attempt to open it with the Stable Dweller creature placed back in the files cause it to take the better part of ten minutes for arena to open. As such, one could safely say that one could blame the slowness on the currant hugeness of the pony creature files due to the massive amount of castes and/or the hair color files. Ah, that would be a computer issue then, as my laptop runs everything rather well. I have however released the cut-down files for all pony-based creatures in the newest update (Essentially identical to the original but for the attached folder with condensed ponies), so you can replace any combination of the pony files with a condensed version. This will result in no cutie marks and rather uniform color traits, but should increase speed accordingly. Ah, thank you. Now, to see if my fort can survive with only basic-level spells. Been playing the mod most of the day and I love it so far. I do have an issue, though. Organization. I have a stone stockpile that has filled up with scrap metal. Good, right? But it's supposed to be for my mason instead of my smelter, and scrap metal doesn't appear to be something I can restrict/allow in the settings of the stockpile. Additionally, all normal stone is listed as economic, so my rocksalt goes in the same pile as gypsum unless I go through and individually set only the stone that can actually be worked with. So... I'm basically asking for some easier stone sorting. It's certainly playable (and quite fun still), but it can definitely be improved. Slave traders occasionally bring feral ghouls for trade. I haven't decided if this is a bug or feature yet. My scrap metal goes into my metal ore stockpile.